If you'd asked me about my mental health a year ago, I would have told you I was fine when really, I was struggling. I had a mental illness and I was hiding it. I didn't want to tell anyone because I didn't want people to think I was weird, dangerous or "crazy". The stigma has resulted in me feeling excluded and unable to fit in. It has made me feel isolated and like there is something wrong with me. I’m James, I’m 25 years old, and I live in a small town just outside of Chester. 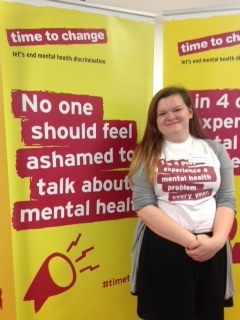 I’m a Time to Change Young Champion, and that means I spend my spare time campaigning to stamp out stigma and discrimination around mental health in the UK. Becoming a Time to Change Young Champion has completely changed the way I live; it has given me the confidence to talk openly, without shame or fear, about my mental health. I no longer feel I need to lie about my experiences, or worry that conversations about my health will make others and myself feel uncomfortable. I have learnt a lot by sharing my experiences and I hope I have helped others too. I first properly experienced mental health issues at the age of 15 was when, and with this came a lot of damaging attitudes and actions. When I started going to therapy for treatment of depression and anxiety, I was still at school and my peers told me that ‘I didn’t look like a psycho’, which is kind of a backwards compliment that made me feel I had to be sicker. 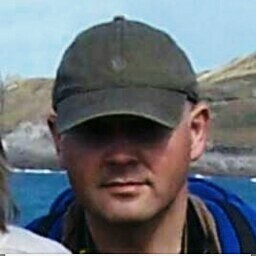 My name is Garrick; I currently live in Wirral, part of Liverpool city. Although I have lived here for over 25 years, I am not a native of this region; my UK roots are from South London. However, my original roots are from Jamaica; land of sunshine, reggae and Jerk – just one of many exotic dishes found on this island! I don’t know how typical this is, but most of the Time to Change Champions I’ve met have personal experience of mental illness, their own or someone they care about. 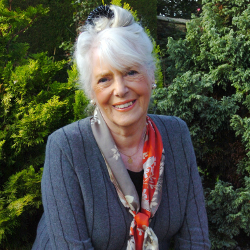 My own story starts 2011 when I met American writer and photographer Fran Houston on Facebook. 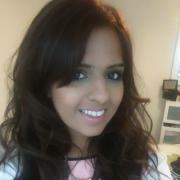 Fran lives with bipolar disorder, also chronic fatigue syndrome and fibromyalgia. She was intensely manic and frequently suicidal. Paula and I have been going through the last few years fighting for the right to be heard and wanting the help from the council and the mental health services. 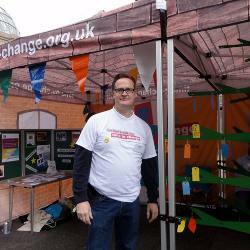 I couple of years ago I decided to sign up as a Champion for Time to Change, I saw it as a way to turn my negative experiences with mental health into a positive, little did I know that I would become a champion campaign group leader and help facilitate the Cambridge University Hospitals (CUH) Time to Change Group. Three years ago, I lost my voice. I could still say what I was expected to, say what people wanted me to, say whatever I was told to, but I couldn’t seem to find my voice. I could say whatever anyone needed me to, anyone but me. My voice had been almost silenced by the people around me. I was made quieter by the people who called me selfish, the people who thought I was weak, the people who convinced me I wasn’t worth their time or energy, all because of my worsening mental health. On Tuesday 1 March, we hosted our third children and young people Roadshow event aimed at the voluntary sector, schools and others working with children and young people. At the event, a panel of young people and representatives from YoungMinds, Off the Record Bristol and the British Youth Council spoke about their personal experiences of mental health problems and the opportunities for local services to engage in joint working and share their learning to tackle stigma and discrimination. Everyone has a story, everyone has a journey, whether it's just starting or beginning there is a journey that had begun or is yet to begin. Once upon a time my experiences were detrimental. I was constantly attempting to hide what was beneath, beneath all the clothes and smiles and dance moves. Watch Jessica Jayne's vlog about the small things her friend Harvey does to help her with her mental health. Jessica Jayne: Hi I'm Jessica Jayne, and I'm here to talk to you about the #smallthings campaign that Time to Change is running. This campaign is all about the small things you can do to help others when they are going through a hard time. Q: So what have you been feeling run-up to today? "I was a bit nervous about such high profile people being there, but I know that at the end of the day they're still just people like everyone else really... Just royal!" This live blog will be updated through the day. Today we're excited to say that the Duke and Duchess of Cambridge will be meeting with a group of young Time to Change champions to talk about stigma and discrimination in mental health. It's exciting to see such high profile support for such an important issue. Sitting in a board room full of heads of nursing and other patients and their representatives, I felt scared. In fact, I felt very scared. I don’t know where my courage came from but I felt I had to speak about what mattered to me. So, I spoke up. It was time to talk. I wanted to write this blog for a few reasons: to try to inspire others to challenge mental health stigma; to give a message of hope, and to show that it's worth continuing to campaign because in my experience things are starting to change. Yes, stigma still exists and continued work is needed but my story regarding employment issues has a positive ending. Even when those closest to me, people I trusted and loved, told me I needed to see a doctor I didn’t listen. I was distressed, confused: often tearful. I remember that bit. Looking back over a decade later, I'm pretty sure I was annoying, too. Barbara – not her real name – paid attention, unlike some of her colleagues. I can't remember if this particular conversation happened before, or after, she took time out to plait my hair. To encourage me to eat. My name is Amy and I experience CPTSD (complex post-traumatic stress disorder), anxiety and depression. I have lived with these issues for the last seven years: it mostly began at 16 during my college years. "I genuinely believe we are making a difference." Robert is a Time to Change Champion. 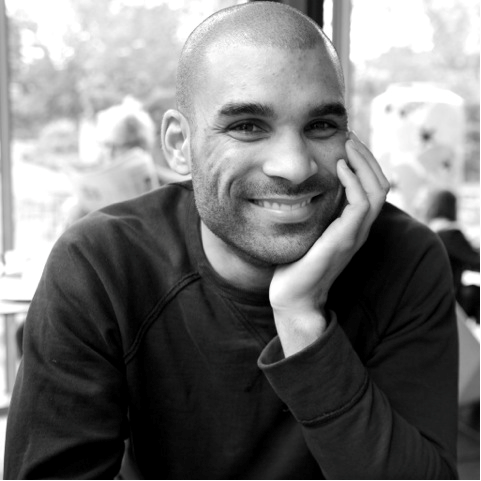 He talks about his experiences with Obsessive Compulsive Disorder (OCD) and how he finds being a Champion empowering. Andy is one of the stars of our radio adverts. Listen to his advert here. My name is Andy. I have been a Time to Change champion for five years. Emma is one of the stars of our radio adverts. Listen to her advert here. It was just a little more than a year ago year ago when people in this movement and many others used their experiences, voice and collective ‘muscle’ to stand up to two household names who were stocking offensive Halloween costumes with “mental patient” and “psycho ward” themes. After so many years of working to improve public understanding and attitudes towards mental health problems and those of us with them, when the supermarkets withdrew the costumes, apologising and making donations this was an historic milestone. Becki Luscombe was at the very heart of this. I’m a Time to Change Champion who has mental health issues; all our champions either have or have had mental health issues. This makes us ideally placed to talk about them. This is why we volunteer. February 1998. Shell-shocked after a nervous breakdown. I receive my mental illness diagnosis. I have bipolar disorder. On the wobbly new-born legs of a new identity. I had crossed that big fat safe line between “us” - the sane, and “them” - the mad. I was one of "them". I lost my glamorous, well paid job in the West End of London managing A list celebrities. I was Mentally Ill. For life. I was only 25. I wrote this poem during a hypomanic phase stage recently. The first time I was published on the Time to Change website I was actually working in marketing and wanted to get out of the corporate world. Through sheer passion and determination I somehow landed a job within mental health services on the South Coast for Solent Mind. I was at a reflective stage in my life and I was just coming to terms with my diagnosis. 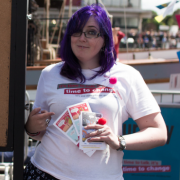 When I first joined Time to Change, I had absolutely no idea just how much it would change my life; I thought I was just volunteering my time, but it turned out to be so much more than that. 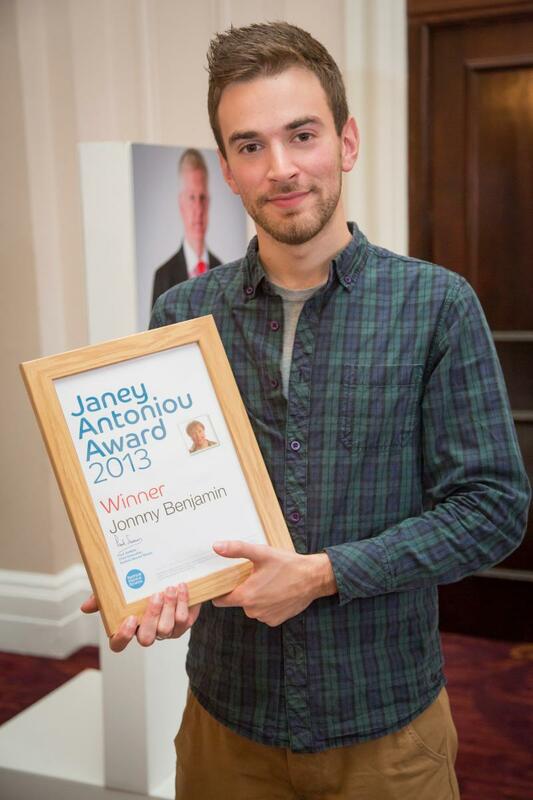 Jonny Benjamin and the Janey Antoniou Award: "I'm so proud to be recognised for mental health campaigning"
It was a complete surprise to receive the call telling me I had won the Janey Antoniou award from Rethink Mental Illness. (Rethink Mental Illness is one of the charities behind Time to Change, along with Mind). Time to Change has changed my life so much and in such a positive way. It all started in March 2012 when I heard about the campaign. Time to Change was holding an event at on the Southbank in London. I decided I wanted to find out more as I had experienced mental illness from a young age and never received the right amount of support. Time to Change Champion Elaine talks about being diagnosed with severe depression and her journey since. 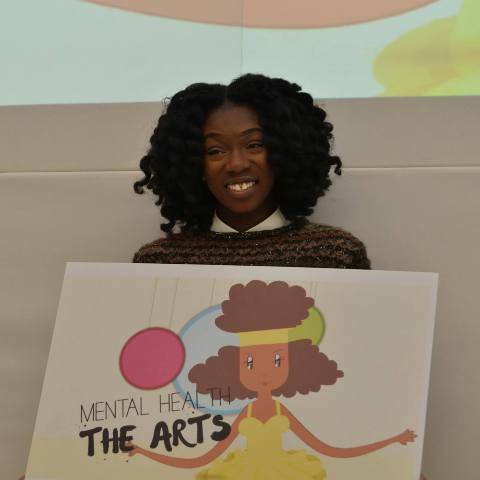 Anjela, a Time to Change Champion, was inspired by the recent Time to Talk Day to make a film, "End Stigma", that used Anjela's poetry to bring together people of all races and ages. Stereo-Hype Festival 2014 took place at the Midlands Art Centre (MAC) in one of Birmingham’s amazing green spaces, Cannon Hill Park. The 2-day event aimed to promote the wellbeing of African and Caribbean communities through a program of art, performances and discussion. As a ‘Time to change Champion' you get to have many interesting conversations with lovely people, usually one to one, but every so often you get a wonderful opportunity to talk to groups. One of these opportunities led to potentially the best conversation of my life, and a critical moment in my recovery, all at a Time to Change event. There was a little issue with this group that I was stood in front of, besides my wife, her colleagues and friends, a former teacher of mine, and just over 200 year 9’s (13 and 14 year olds) in a large Comprehensive school. 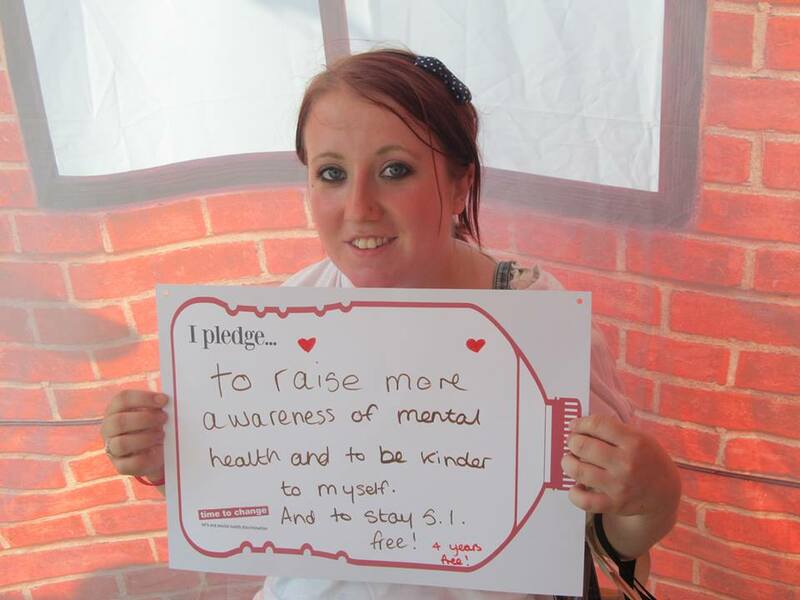 Recently I was involved in a fantastic project aiming to reduce the stigma around mental health. In this video Will talks about his involvement with Time to Change, and how his friends have reacted to him coming out about his mental health problems. What do you think about the issues raised in this blog? I first heard about Time to Change when, as a fan of cricket, I read about England player Michael Yardy’s battle with depression which effectively ended his international career. This struck a chord with me because of my own problems with depression and anxiety, and I know how frustrating and debilitating it can be. I recently attended a Time to Change Champions' event and spoke for the first time in front of so many people about living with, fighting with, loving, hating and trying to recover from anorexia nervosa. After I'd spoken I was touched by the kind words of the other people attending the event and I felt proud that I'd managed to, in a small way, bring comfort or provide insight to other people. Sometimes you have to throw caution to the wind and dip your toe into the water (so to speak) to get anywhere in this life. And, that's just what we did one cold - but sunny - November day in 2013. I have for many years struggled with anxiety and depression. I'm in no doubt now that this is due to a very traumatic childhood. I am not complaining about this as this is a fact of life for many people. I lost my father at about 11 years old and my mam re-married rather quickly to a very violent man. As I was growing up my mam was very fragile and consequently over the years I developed post traumatic stress disorder but this was not picked up on until very recently. 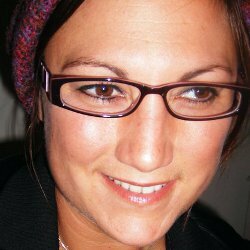 Shadey is a community champion on the Rafiki project. What a way to celebrate World Mental Health Day. I was given the most amazing opportunity and was invited to the Terrace Pavillion at the House of Commons to celebrate parliament’s work in challenging mental health discrimination with Time to Change and charities Mind and Rethink. Some people suffer from debilitating anxiety, others have a fear of buttons and some can’t get out of bed in the morning. Some people are straight, some are gay and others have no preference whatsoever. Some people have blue eyes, some people have brown eyes and some have one of each. Some people see the similarities in each other, some only see the differences and others are blinded by ignorance. 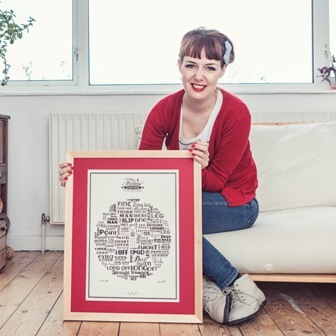 The last time I saw my diagnosis a couple of years ago at the age of 14; I had emerging borderline personality disorder, post-traumatic stress disorder, recurring depressive disorder and high levels of anxiety. But the hardest thing for people to understand is the fact that I hear voices. 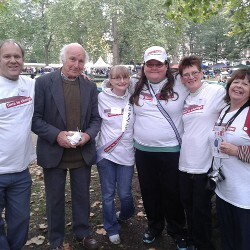 It was a wonderful day on 19th October 2013 as Time to Change took part in the Bloomsbury Festival in Russell Square, Central London. The theme of World Mental Health Day in 2013 is "Mental health and older adults". 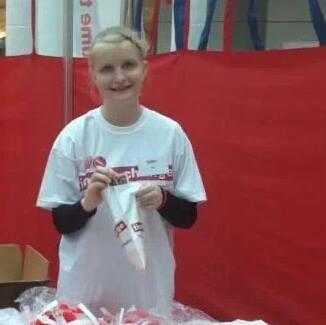 I was nervous about volunteering at the Time to Change Village, I've experienced both anxiety and depression recently and wasn't sure if I was ready to talk to the public. 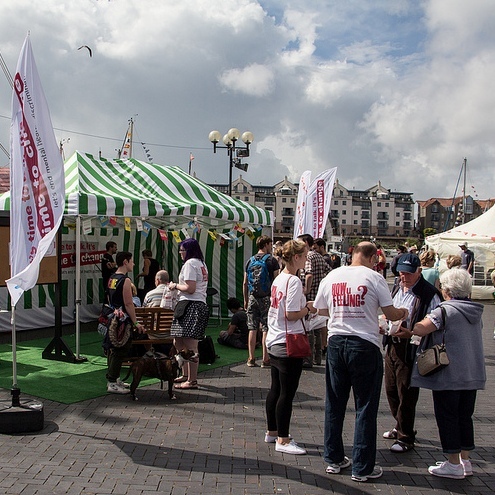 As many of you may know, Brighton Village was held on Saturday 3rd August 2013. When I am home for the summer, Brighton is just over an hour on the train away so I knew I had to go this year. I have been a huge supporter of Time to Change for a long time now and am a registered Champion. I applied for a volunteering position with them at the beginning of June. Well, Bristol Village where do I start…amazing weekend all round, albeit exhausting, but a rewarding exhaustion if you know what I mean! Bristol Harbour Festival has always been very well attended, figures of which have increased over the latter years. It’s safe to say that my route to becoming a Time to Change Champion has had a few stops along the way. All in all it was a fantastic weekend. Attending both days was both wonderful and exhausting! There were such a wide range of people visiting the Village, more varied than any Village I have done before. Last week I watched ‘Rachel Bruno: My Dad and Me’. The programme really hit a note with me, as it showed both sides and more information about bipolar disorder, how those diagnosed live with it, or should I say learn to live with it and how difficult it is for those around them. So had you heard of Time to Change before this presentation? On a warm summer Saturday, I had my first experience of visiting a secure hospital caring for people with mental illness. 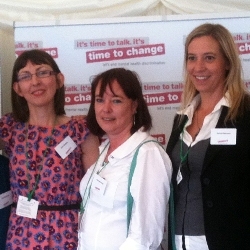 I arrived by taxi with Angela, the South East Regional Coordinator for Time to Change Champions, such as myself. 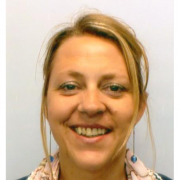 Natalie has been a Time to Change Champion for some time and previously attended Speak Out training as well as shadowing Regional Coordinator, Karen Machin and attending Ministry of Justice event in Manchester in May. For a mental health activist like me it was but one short step to join Time to Change as a Champion. I'd been working at the cutting edge of the survivor movement since 2001, first as editor of a north-eastern mental health hospital's wellbeing magazine and then as chairman of an anti-stigma campaign in Sunderland. I have come a long way since I first became involved with Time to Change, almost two years ago. 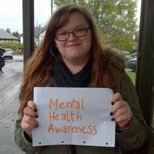 At that time I was determined that something needed to be done to stop the stigma around the subject of mental health. I've been following Time to Change for just over a year and I've even done some promotional work for the cause at my workplace. I followed quite silently proud to support but unsure how to do more. So, I’m sat on the sofa on a Sunday morning, bleary eyed and (Time to Change) mug of hot chocolate in hand, digesting what happened the day before. Yesterday I came out to the public as 1 in 4. I didn’t know what to expect, or how I would react... never mind the reaction of those I told my story to! But let me tell you this, I was not expecting the result I got from being part of the Time To Change Village on Southbank. The evening of Friday 30th March 2012, I felt like a child on Christmas Eve who has gone to bed early just so that Christmas will come quicker; because the next day was the Time to Change Village, and I simply couldn’t wait. I was recently given the privilege of speaking at the Time to Change Launch Event in London’s Whitehall, and I know I am not the only person who left that event feeling uplifted, positive, and frankly, all warm and fuzzy inside. 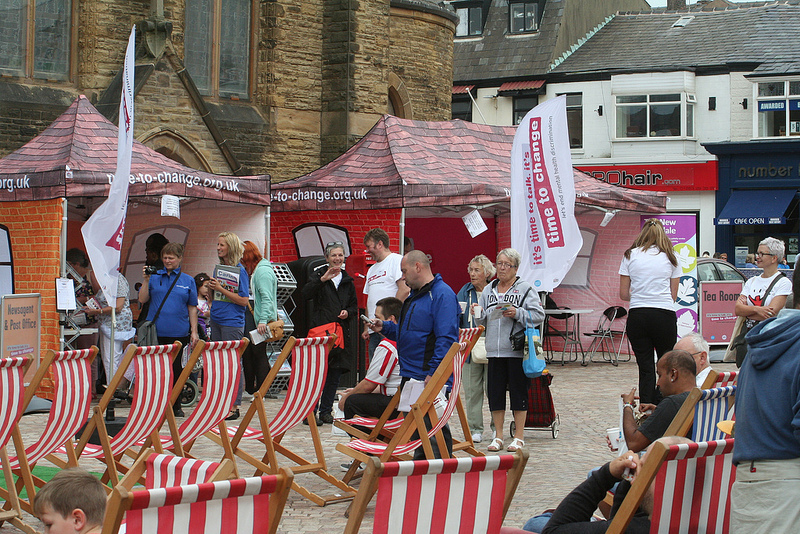 It was attended by so many people, including Deputy Prime Minister Nick Clegg, Paul Burstow, representatives from the Big Lottery Fund and Comic Relief, and celebrities including Trisha Goddard, Alastair Campbell, Fiona Phillips.